Rejoice! 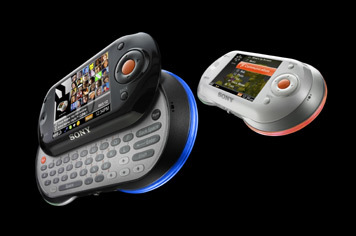 Skype on the Sony PSP may be unveiled this week at CES. 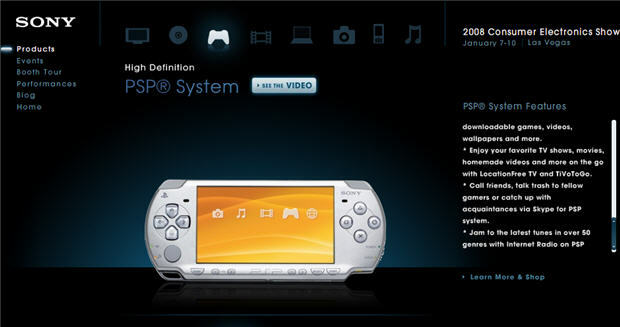 Sony's CES page seemed to "leak" the details (click the PSP controller graphic on their site). The Sony PSP doesn't have cellular data connectivity so you'll need a WiFi hotspot to use this. Fortunately, PSP users get free T-Mobile Wi-Fi access. It's about time the Sony PSP got VoIP considering the Nintendo DS has been running VoIP for some time. Now Sony just needs to add SIP support to work with any SIP provider. Question is, does this mean Sony will be killing off the Sony Mylo? which just about nobody has bought - even if it is a cool device. It provides users access to online instant messaging services, Web pages (fully-featured Opera browser), e-mails, play music, and view photos. But more importantly it came with Skype preinstalled. \n Question is, does this mean Sony will be killing off the Sony Mylo? which just about nobody has bought - even if it is a cool device. It provides users access to online instant messaging services, Web pages (fully-featured Opera browser), e-mails, play music, and view photos. But more importantly it came with Skype preinstalled.